Applesauce is thickest when it’s not overcooked, so proper cooking is the first step in creating thick sauce. 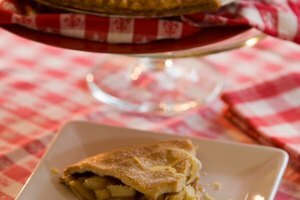 The apple variety also makes a difference -- customize a flavorful blend of sweet and tart apples to turn out a perfect sauce. Preferred sauce varieties include Red Delicious, Golden Delicious, Granny Smith and Gala. Varieties with deep red skins, such as Jonathan, Winesap, Rome and Empire, produce pink applesauce if cooked with the skin on. Run the cooked apples through a food mill to remove the skin. 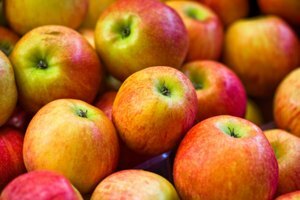 Select firm, ripe apples and wash them under cold running water. Cut and core the apples. 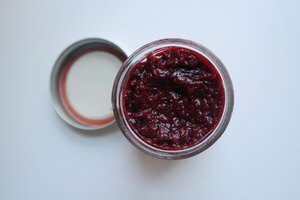 Take advantage of the natural pectin in the skin that helps thicken the sauce. Cut the apples into wedges or chunks and place them in a large pan. Put a tight-fitting lid on the pan. Depending on the apple variety, add a small amount of apple juice, cider or water to help create steam. Simmer the apples over low heat. As the apples cook they release natural juices. Check the apples frequently, stirring them to ensure that they do not stick to the bottom of the pan. If the apples seem dry, add just enough liquid to prevent scorching. Remove the apples from the heat when they are tender, but before they lose shape. Overcooking makes applesauce runny. Pass the apples through a food mill to remove the skins. Allow the applesauce to cool. It thickens naturally as it cools. Add a starch thickener if purchased or homemade applesauce is too runny. Stir together about 1/4 cup of apple juice, cider or runny applesauce with 1 to 2 teaspoons of arrowroot or tapioca flour in a small bowl, mixing it into a slurry. Heat the applesauce in a pan over low heat. Pour in the slurry, stirring constantly until the starch cooks clear and the sauce thickens. Arrowroot and tapioca are relatively flavorless, and they cook and thicken quickly at a low temperature. Stir in additional starch mixture and cook until the applesauce reaches the desired consistency. Attempting to cook off water from runny applesauce can actually overcook it and make it more runny. 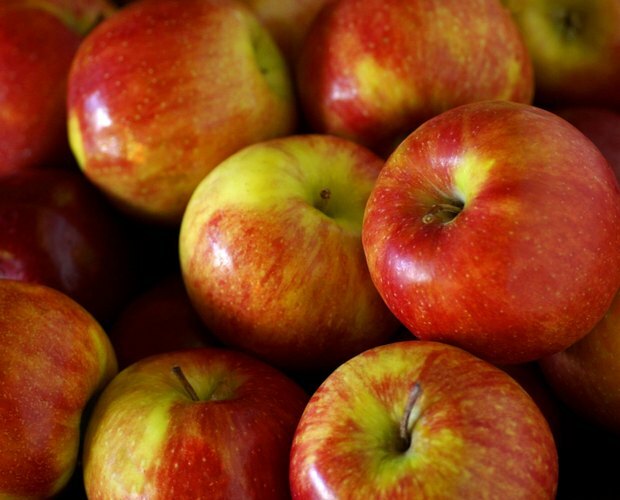 Cornstarch can lose its effectiveness as a thickener with acidic foods such as apples. For baby food, or to avoid having to separate the skins from the sauce, peel the apples before cooking. Thicken and add texture to your baby’s applesauce by stirring in baby rice or oatmeal cereal. Homemade Baby Food Recipes: Why Is My Applesauce Too Runny?